Wayne Allen, Chief Executive Officer, Insurance Thought Leadership, Inc.
Hemant Taneja, Author, "Unscaled: How AI and a New Generation of Upstarts Are Creating the Economy of the Future"
Christina Tetreault, Senior Policy Counsel, Consumer Reports, Inc. In today’s world more people work multiple jobs, stretch their finances, and think far outside of the box to make ends meet. Now more than ever they are trying to navigate a financial path that is uncharted, shaped by an ever changing world, and influenced by their own unique financial perspectives. Can a corporation’s commitment to financial health lead to positive social change while bolstering its brand reputation? Join industry leaders, activists, and brand reputation experts as they discuss the long-term vision and work required to truly improve Americans’ financial health. We’ll look at the role of financial institutions in making this vision a reality, and assess how prioritizing financial health could help companies differentiate themselves and rebuild customer trust industrywide. Looking at the long-term financial health of customers is the latest call to action for cross-sector industries. Sometimes, however, short-term solutions are the most critical to keep consumers from falling into negative financial healthy cycles. How do you assess the opportunity and impact of thinking in the now? A 10-year-old child today has a 50 percent chance of living to age 104. Yet, most people are not prepared financially to afford their longer lives. Jo Ann Jenkins, CEO of AARP, will discuss how the financial services industry can develop consumers’ trust and leverage technology that empowers more of us to choose how we live as we age. Financial institutions today must break down data silos to gain a holistic view of the consumer. Leveraging this consumer data to uncover needs, financial institutions can solve for pains not just with products -- but also with personalized financial education tailored to each consumer's unique path. Explore how institutions are inspiring financial capability for their customers and employees using personalized education. Come network with other EMERGE attendees at this kick-off reception. Select from a range of cuisines, price-points, and topics and then join other attendees at these dutch-treat dinners at local restaurants. Wake up, rise with the sun, and begin your morning with an invigorating yoga class. All levels welcome! Advance sign-up required. Please visit the registration desk. New to credit consumers represent the next stage of growth for any financial provider. Join Self Lender, YoungSmartMoney’s Apple Crider, and Sunrise Banks to discuss how to empower this DIY group to adopt more high-quality financial products faster. Improving consumer financial health –and long-term relationships with all customers – demands that we find ways to expand financial opportunity for the underserved. It also requires a new type of leadership, which champions diversity and community-focused initiatives in order to drive greater impact on the communities who need it the most. “Financial wellness” is a hot topic in the human resources world, but for many, the term is still synonymous with financial literacy classes or retirement plans. Yet a growing number of companies are going beyond the basics to offer benefits – often in partnership with financial services firms – that help employees manage day-to-day needs like paying down student debt, saving for emergencies, and covering short-term cash crunches. This panel of innovative employers will share their reasons for pioneering these types of benefits and the impact they’re having on their employees and their businesses. A decade ago, improving the financial lives of millions of underserved Americans started with the idea of access – paving a way for un- and underbanked consumers to access reputable products, quality services, and trustworthy advice and education. The dialogue quickly evolved to financial inclusion, as technology enabled access to better products. Now, we are in the age of financial health, where access and inclusion play a significant role, but where more sectors, domestic and global, than ever see their role in improving financial health for all. Join CFSI’s Jennifer Tescher in conversation with MetLife Foundation’s Evelyn Stark on the language and practice of financial health is changing business practice for the better – and where we can all go from here. Co-founded and managed by CFSI and JPMorgan Chase & Co., Financial Solutions Lab has seen more than 1,000 applicants over the last four years, and the latest cohort is focused on Workplace Financial Health. Teams include Brightside, HoneyBee, Manifest, MedPut, and Onward. You can meet the cohort teams at the JPMorgan Chase & Co. sponsored reception starting at 5:30 p.m. on Wednesday evening in the attendee lounge. Which track will you take at EMERGE? Our track hosts will provide a brief overview of our three breakout series, so you can choose the sessions with the most value for your organization. According to CFSI’s U.S. Financial Health Pulse, only 28 percent of Americans are financially healthy, yet 69 percent of financial services executives say that improving consumer financial health is a major priority for their business. Are financial service providers doing enough to improve their customers’ lives? Are there limits to what financial services can do in the face of serious economic challenges? And if industry leaders are truly brought into the idea of financial health, how can we go further faster? Join industry representatives for a lively discussion on what drives this disconnect, what it means for consumer trust in financial services organizations and beyond. Financial institutions often design new products and innovate with millennials in mind. But these institutions miss other audiences by focusing solely on younger age groups. Older age cohorts present a prime opportunity for innovation, whether through digital technology or other means. Attendees to this session will hear from companies creating solutions for older individuals regarding innovation efforts, decisions made, and lessons learned. Physical and mental health are inextricably linked to financial health. Poor financial health can lead to toxic stress and chronic disease, while poor health can lead to devastating medical expenses and major financial insecurity. As partnerships form between healthcare and financial stakeholders, these two fields have an opportunity to join forces around a common framework that puts “health” at the center. In this session, we’ll discuss emerging cross-sector innovations that address financial and physical health outcomes, strategies for engaging partners, and opportunities to forge a culture that prioritizes financial health as essential to a person’s overall well-being. 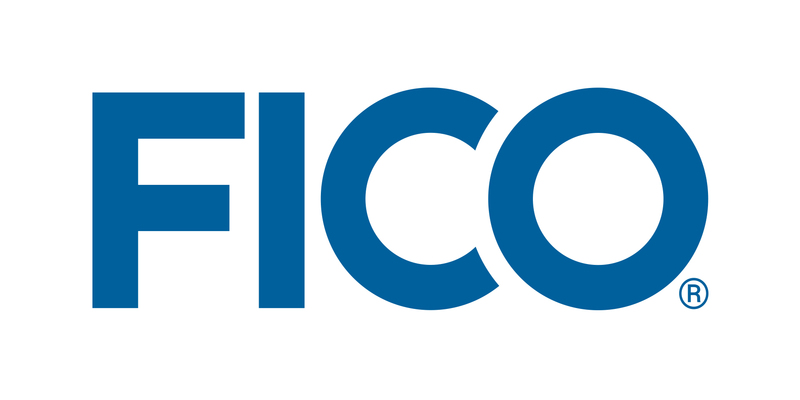 FICO teamed up with consumer advocates, credit educators and community leaders on a series of regional events to help Americans learn about their credit scores and explore financial tools to empower and help them on their journey to financial health. This session will cover lessons learned from these grassroots events, including what resources & tools are available, and provide an update on some innovative (and sometimes surprising!) developments in credit scoring. While the economy shows signs of improvement, consumer and small business cash flow issues continue unabated. Today’s financial institutions are presented with a unique opportunity—find a way to solve for these problems, or allow check cashers, pawn shops and payday lenders to continue to change the profile of modern day financial services providers. Join this session to better understand the problem, ways to profitably position your financial institution to provide options to consumers and small business owners, and design solutions giving you the ability to be their long-term financial services solution. The changing nature of work in America means that uneven revenue and income instability are issues affecting more than just low-to-moderate income households. With millions of people struggling to bridge cash shortfalls, this panel will examine the latest data from CFSI’s Financial Health Pulse and explore the real impact and consequences for families across the U.S. It will also touch on the role of policymakers and the newest innovative approaches from marketplace practitioners. Attendees will gain a thorough understanding of this challenge and a roadmap for how they can build or partner to better serve their own customers struggling to overcome income instability. Hear directly from a panel of credit-challenged Americans on the economic realities that come with a low credit score. This panel will explore income volatility and provide real-world examples for the causes of poor credit. Bring any questions you may have for individuals working to rebuild their credit. The debate over the future of work has sparked critical conversations about the need to fundamentally rethink “social contracts” and stimulate reforms in areas such as labor retraining, health care benefits, and pension markets. Financial services, as well, need reimagination due to the rapidly evolving nature of jobs from fixed, salaried positions to less structured forms of employment. Join PayPal for an interactive lunch session that explores themes from their newly-released report on the Financial Health for the Future of Work, including the four major trends that will impact the future of work and its impact on financial health : 1) Automation, Machine Learning and AI; 2) The Platform Economy; 3) Socio-Demographic Changes; and 4) Entrepreneurship. Building and maintaining customer trust is a key challenge for financial services companies of all sizes. In this session, meet leading early-stage fintech companies that are using innovative methods to develop and grow user trust from day one. From branding strategy and research techniques to open communications and human-centric product design, we’ll explore the tactical efforts and overarching strategies of up-and-coming fintechs that are moving the needle on consumer financial health. Place is an important factor in determining community members ability to save, spend, borrow and plan. During this session, we will discuss why place-based approaches are important and current initiatives that are improving financial health at the community level. The panelists will discuss different tools and approaches when assessing a community’s needs, how social determinants of health have an impact at the community level, designing interventions that include the community and lessons learned from previous place-based initiatives. Attendees will come away with clear ideas how they can implement place-based approaches when looking to improve financial health at the community level. Millions of students around the country are struggling with their financial health, often balancing complex lives at home, at school, and at work. But what are the factors with the biggest impact on a student’s financial life, and how can financial service providers, fintech players, and innovators use these insights to serve the financially vulnerable student? In this session, we’ll explore CFSI’s consumer financial health framework from a student’s perspective and hear from the industry leaders working directly with students to help more of them find sound financial footing. Advances in financial technology that remove humans from the equation have left many consumers uncertain about who to trust. Do consumers turn to legacy financial institutions, or do they place their trust in new technologies that promise transparent and immutable decision-making? This session will explore the opportunity for new technologies (such as blockchain, A.I, machine learning) to improve inclusion and consumer engagement through more transparent processes, as well as opportunities for financial institutions to leverage new tools to increase efficiency, reduce costs, and even return trust to consumers. A Federal Reserve study found that more than 40 percent of Americans couldn’t cover an unexpected $400 expense. But while the need for small-dollar savings is evident, the financial services industry has not yet come up with a viable business approach to encourage more people to save. As interest grows among financial institutions in enabling people to save, we’ll hear from a cross-section of established banks and innovative fintechs about what works in the savings space. Participants will walk away with an understanding of when people save, how they save, what they use savings for, and how these learnings can help inform better savings solutions. From fitness trackers to smart homes, the insurance industry is beginning to realize the potential of connected devices and big data to drive improvements across the insurance value chain. Improved risk assessment, predictive maintenance, and proactive claims management all have the potential to align incentives and build trust between consumers and insurers. As data collection expands, however, privacy and security concerns also grow. Insurers’ underwriting and risk mitigation may also become less transparent and more inequitable as they apply increasingly sophisticated tools. Hear from companies and partnerships at the forefront of these issues who are attempting to maximize trust with consumers while minimizing risk. Chief Executive Officer, Insurance Thought Leadership, Inc.
Be sure to plan some time for this year’s Innovator’s Row, where you will meet some of America’s most promising fintechs innovating for financial health. The new workplace cohort teams include Brightside, HoneyBee, Manifest, MedPut and Onward. It’s a great chance to connect with future partners, providers, and collaborators. Don’t miss it! Attendance at this dinner is reserved exclusively for Financial Health Network members and advisors. You can RSVP for the dinner when you register for EMERGE. Transportation will be provided. Sensible footwear and casual dress recommended. We are in the midst of an emergency savings crisis. 4 out of 10 Americans couldn’t come up with $400 without borrowing to cover an unexpected expense. Recent stories of government workers who found themselves in dire straits after missing one paycheck during the shutdown further illustrate our financial fragility. In response to this crisis, BlackRock Social Impact has launched the Emergency Savings Initiative, a multi-million, multi-year investment to help more than 1 million low- to moderate-income Americans build and grow their savings. Working with industry experts CFSI, Commonwealth, and Common Cents Lab, the BlackRock Emergency Savings Initiative aims to fuel innovation that will allow millions of people living on the edge to establish a stronger financial safety net. The Initiative will partner with leading employers, financial institutions, retailers, and fintechs to deliver effective, evidence-based solutions to help families thrive. Join us as we present research and stories of how the savings crisis is impacting people across America, and how the Emergency Savings Initiative is working to test and scale savings innovations that will help more Americans establish a stronger financial safety net. First come, first served, limited seating available. Author, "Unscaled: How AI and a New Generation of Upstarts Are Creating the Economy of the Future"
Does the U.S. Need a National Data Privacy Law? As high-profile stories of data breaches and misuse continue to make headlines, a global wave of policies that empower consumers to control more of their data is picking up speed. Around the world, recent regulations include UK Open Banking, GDPR in Europe, and Australia’s new Consumer Data Right. Here in the U.S., California’s sweeping new data privacy law raises the specter of a patchwork of conflicting state-level policies — unless the federal government decides to act first. Join us for a debate on whether the U.S. needs a comprehensive national policy for data sharing and privacy, and what we can learn from other countries’ experiences. Senior Policy Counsel, Consumer Reports, Inc.
Join fellow members starting their financial health journey. Work within a peer learning environment to push the industry further towards improving financial health through savings. Mountains of data show that millions of Americans are struggling to save for the future because they are struggling with today’s financial health issues — lack of emergency savings, volatile incomes, and expenses, and outsized debt payments chief among them. Join us for a conversation with innovators who are out in the field with tools to help would-be retirement savers free up the cash flow that can ultimately help them grow their retirement savings. Hear from a diverse group of providers on strategies and innovations they are employing to improve small business financial health. Don't miss out. Join industry colleagues and thought-leaders at the forefront of financial health innovation.